The Baskin School of Engineering at UC Santa Cruz is unique among public engineering schools. 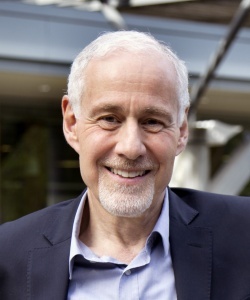 By offering forward-looking programs of study and opportunities to engage in collaborative research across campus and with industry partners in Santa Cruz and nearby Silicon Valley, Baskin Engineering represents a new kind of engineering school: an engineering school for the 21st century. Founded a bit over 20 years ago, Baskin Engineering is home to more than 100 faculty members in six departments, as well as over a quarter of the undergraduate and a third of the graduate students at UC Santa Cruz. At Baskin Engineering, we provide students with a holistic education. We instill foundational knowledge and skills, and at the same time help students see the value of collaboration through opportunities and tools for truly interdisciplinary partnership. In this way, we are shaping engineers of the future — engineers who will have the knowledge and skills to seek collaborative solutions to emerging opportunities and challenges. Here on the UC Santa Cruz campus, and just over the hill in Silicon Valley, Baskin Engineering students work alongside world-class faculty and industry experts. Students gain real-world experience through research projects and internships with local tech companies, while thriving research centers foster student-driven discoveries leading to rewarding careers in industry and academia. At the social heart of Baskin Engineering are numerous student-led groups and organizations providing opportunities for community building and networking, professional development, extracurricular experience, and friendships that extend well beyond graduation. Baskin Engineering’s interdisciplinary research crosses traditional boundaries both on and off campus. We focus on visionary, next-generation research, opening up new fields of knowledge, pioneering bold discoveries, and developing world-shaping technologies. 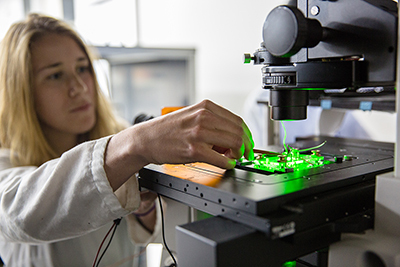 From bio-sensing devices, smart power, and artificial intelligence to data science, genomics, and cyber-physical systems, faculty and students are in front of major opportunities and challenges, defining what it means to be a leading-edge engineering school. Adjacent to the bustling technology hubs of Santa Cruz and Silicon Valley, Baskin Engineering represents a rare combination of world-class, high-impact research on a campus known for social responsibility and diversity. 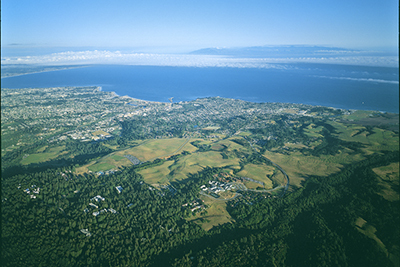 When it comes to location, it’s hard to imagine a better place to live, work, and study than the UC Santa Cruz campus. Located on California’s central coast, UCSC is situated on a hill in a redwood forest looking south across the MontereyBay, with sweeping views of the Pacific Ocean. Santa Cruz is famous for its beaches and surfing, year-round whale sightings, and decades-long culture of organic farming. We are less than 40 miles from the heart of Silicon Valley, where our second campus on Bowers Avenue in Santa Clara is home to a growing number of faculty, their PhD students, and a number of professional graduate programs. The tech scene in Santa Cruz itself is expanding, with several tech startups and companies, many of which were founded by Baskin Engineering students and faculty. 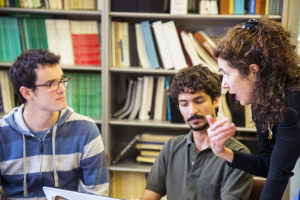 The Baskin School of Engineering at UC Santa Cruz offers the best of all worlds: a major research university in a beautiful setting, with a strong commitment to research, graduate training, and undergraduate education. This is an exciting time to be part of the school as we continue to grow and enhance our programs to maintain national eminence. I encourage students to fully embrace and take advantage of the rich learning environment available at UC Santa Cruz. For supporters and potential collaborators in industry, federal laboratories, and elsewhere, I enthusiastically welcome your interest in Baskin Engineering. Please do not hesitate to contact me, our staff, or any of our faculty members to pursue opportunities for collaboration. Follow me on Twitter @BSOE_Dean.